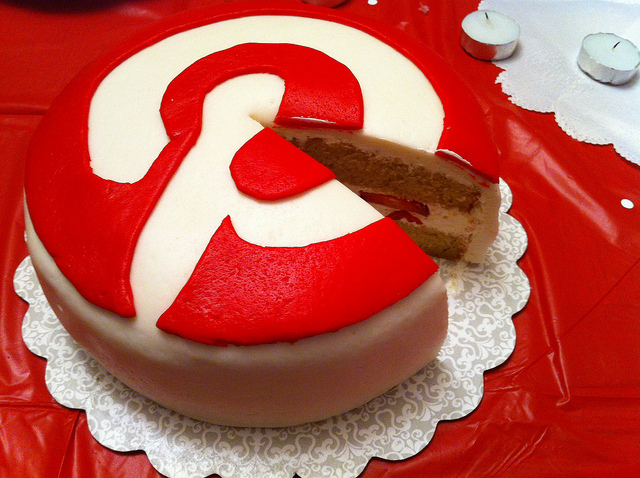 Red hot social site Pinterest has finally moved away from its invite only status and made the pinning service open for anyone to join, the company announced today. The move to open registration comes hot on the heels of the latest redesign, which saw a redesigned version emerge with a bunch of new categories to help increase curation and usage. The new categories are Quotes, Tattoos, and Weddings, while a flashier animation flips around on click. Pinterest is the third most visited social network in the US, as of March, and it saw an estimated 11.7 million visitors in January this year. Its popularity has surged over the last year, with statistics showing that its traffic grew by more than 6,000 percent over the final six months of 2011, and the move to go fully open is likely to only accelerate the increase of those figures. However, the long awaited move also bring issues for the company. Invitations are relatively easy to commandeer for anyone passionately keen on the site, but with anyone now free to join the ‘quality’ of users and usage may well decrease. Ultimately, the opening will help monetise the site, however, giving ads greater audiences and the team an opportunity to grow further. It’s been a busy year and the service grabbed fresh funding two months ago when Japanese e-commerce giant Rakuten put $100 million into it, giving Pinterest a valuation in excess of $1 billion – not bad for an invite-only service. Rakuten, which brought in $2.56 billion in revenue during the first half of this year, also became a strategic partner and together the duo are exploring ways to boost each other’s visibility. That link-up recent saw Rakuten roll out Pinterest sharing options on three of its top e-commerce stores in Japan, and we can expect more collaborations to come. Pinterest is seeing explosive growth in some regions. The service grew eight-fold in Latin America in just four months earlier this year, according to one estimate. You could also measure Pinterest’s success by the sheer number of clones that have cropped up. We here at TNW get pitches for the “Pinterest of ___” just about every day. Today we’re thrilled to announce open registration! For those of you who haven’t joined Pinterest yet, this means you can sign up without waiting for an invite: all you have to do is go to Pinterest.com to get started. In addition to using your Facebook or Twitter login, we’re also opening registration so you can sign up with just your email address. We’re really excited to have the capacity to offer Pinterest to more people and if you’re a Pinner with friends who’ve been waiting on the sidelines, we hope you’ll let them know. Happy pinning to everyone!